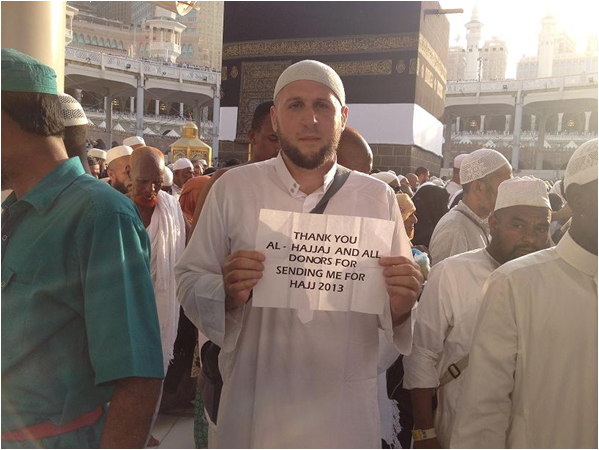 Al Hajjaj offers free Hajj and Umrah services to the poor. The act of Umrah is known to cleanse a person's soul from past committed sins. It is advised to do Umrah more than once in your lifetime so that it can wash the sins from the last time one performed Umrah. Abu Hurairah (R) narrates that the Prophet(S) said, ‘An Umrah to another Umrah will be redemption of sins for whatever (minor) occurs between them.’ (Bukhari, Muslim). Why should a poor person be denied the right to perform Umrah and cleanse themselves of their sins? Al Hajjaj carefully interviews and selects people from poor backgrounds from all around the world who have expressed a desire to perform Umrah. For Umrah we try and select only those people who have already performed Hajj as Hajj is an obligation upon all Muslims. Some people may have already performed Hajj and have a great desire to perform Umrah, for mental and spiritual reasons but due to a change in financial circumstances they may no longer be able to afford the trip. The majority of scholars have all agreed that any person who qualifies to receive Zakat or Sadaqa can use those funds how they wish for halal purposes such as performing Umrah. Once the appropriate funds have been raised we pay for all of the expenses associated with that persons' trip to the house of Allah (SWT). These include airline tickets, costs of getting visas, passports, vaccinations, transportation, food, accommodation, transfers between Mecca and Medina etc. We also give the poor Hajji's some spending money while they are in Saudi Arabia. We offer a totally free Umrah package to the poor. We have a network of sub agents across the world whose job it is to arrange cheap Umrah packages for the poor people we have chosen to take for Umrah. The money you pass to us is then used to pay for these packages and all other associated costs. Our aim is to make the process totally free for the poor. If you wish to nominate a poor person to perform Umrah for free please get in touch with us via the contact us page.